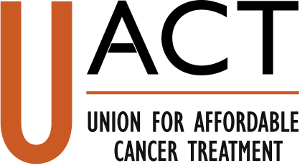 Dr. Manon Ress is a Founder and Acting Director of the Union for Affordable Cancer Treatment (UACT). 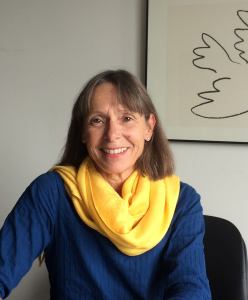 Beginning with her work at Knowledge Ecology International (KEI), Dr. Ress’ mission has focused on the protection on consumer and user rights in intellectual property norm setting, the development and use of open standards, open access publishing, the development of open access user generated databases, and the use of prizes and other alternative reward mechanism to reward creative and inventive activity. She has been an active participant at the World Intellectual Property Organization’s meetings of the Standing Committee on Copyright and Related Rights, and other multilateral and regional forums that discuss intellectual property rights, innovation and related topics. In 2010, Dr. Ress was diagnosed with cancer and began to hear from patients around her about the struggles they faced in gaining access to the treatments they critically needed. She began to focus her advocacy skills towards improving access to and innovation of cancer treatments in the US and globally. As one of the founding members of UACT, Dr. Ress has represented UACT from its inception, delivering interventions before the US International Trade Commission, World Health Organization, and monitoring policy talks at forums such as the negotiations for the Trans-Pacific Partnership and the Transatlantic Trade and Investment Partnership, where many IP norms that impact drug pricing are decided. Too often, patients’ voices are not heard in the very meetings where their fates are being decided. Through UACT, Dr. Ress seeks to educate and empower patients’ to demand openness and transparency in drug pricing and the policies that impact pricing. Dr. Ress holds a B.A. and a Master’s Degree from the Université de Nice, France as well as a Master’s and a Ph.D. from Princeton University.